Cogs Of Europe is a family-owned and operated business based in Newcastle, NSW. 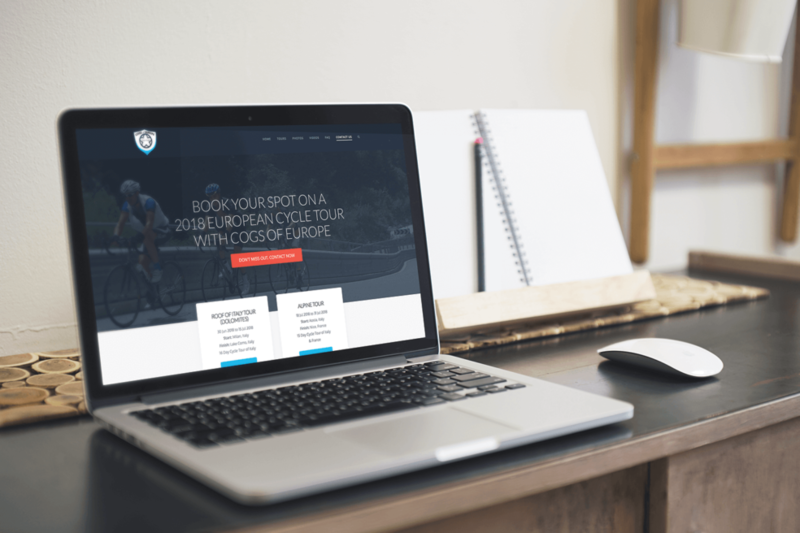 A niche business, they offer customers unique cycling tours throughout Italy and France. These trip-of-a-lifetime tours take no more than seven riders riding through either the French Alps or the Dolomites. The Cogs of Europe existing site was outdated and slow with poor SEO and usability. They needed a site that was user-friendly, fast to load, and as good looking as the views on their tours. To create a website that does justice to their amazing tours, I devised a bespoke and multifaceted strategy.